This is the official website for the YWCA Vocational Institute, Brookfields, Freetown, Sierra Leone. All information contained herewith are current and have been verified by the Principal Mrs Grace Fullah and the entire staff of the institute. The year 1961 was a great year for Sierra Leone. It was the year it gained independence from British colonial rule. The ladies of the YWCA organization of Sierra Leone with the support of the International YWCA organization and the government of Sierra Leone demonstrated a commitment to the continued freedom of education of young girls in Sierra Leone with the establishment of the YWCA Vocational Institute on the 20th September, 1961. Young Women Christian Association (YWCA) is a movement of women and young girls working for social and economic change around the world; under the umbrella organisation of The World YWCA. It advocates for young women’s leadership, peace, justice, human rights and sustainable development, both on a grassroots and global level. YWCA Sierra Leone was founded in 1915 by a group of Young Christian Women in Sierra Leone. It is a national non-governmental and non-profit making advocacy women’s organization led by women in Sierra Leone and it is a category “A” status member of the World YWCA Movement in Geneva, Switzerland. It’s doctrine is based on its Motto “By Love Serve One Another”. 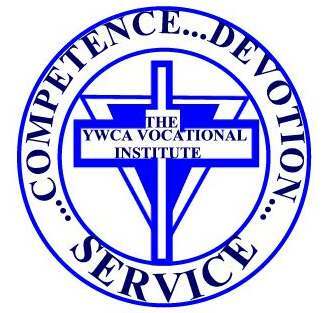 True to its motto the YWCA Vocational Institute was established in September 1961 to contribute to women's education and development in Sierra Leone.